Ever been to a dog park only to find it empty? Moved to a new neighborhood and don't know where the hottest dog parks are? Doggo is an app designed by dog owners for dog owners to solve all those issues! And best of all, it's FREE! 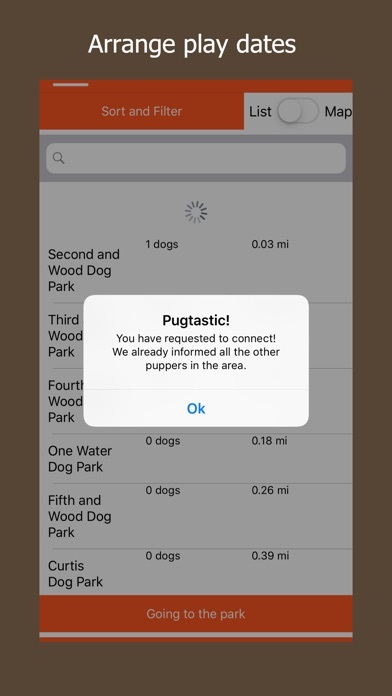 *** Summary *** The scope of the app is to help dog owners find dog parks and get in touch with other dog owners who frequent the same dog parks. Once an user logs in, he/she is prompted to create a new dog, which will become his/hers faithful companion in the app. The app has two core features: park check-in and connections. *** Park Check-In *** User will be automatically "checked" into a park when they walk into it, and checked out of a park when they leave it. 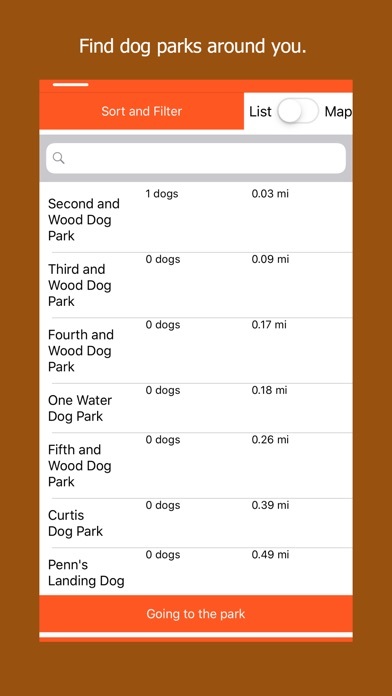 Doggo uses this information to update the "Parks" page to show which users are in which park, and to show details about the user's dog. This feature is contingent to the user's decision of allowing geolocation/geofences. *** Connections *** A user may want to go to a park, but the park of his/her choice is empty at the moment. 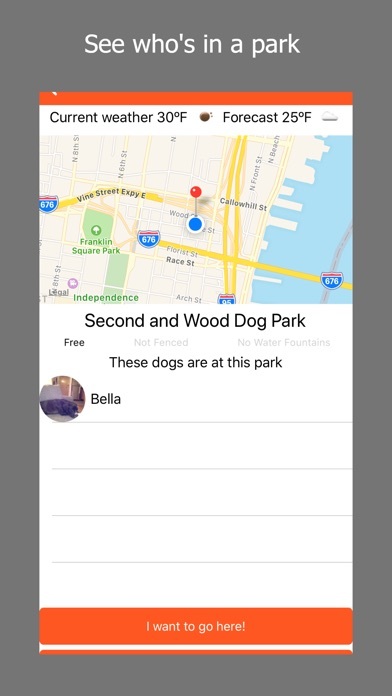 The user has the possibility to create a broadcast request to other Doggo owners in the area advertising that he/she is going to a park with his/her faithful companion. Other user can see this request in the connections page (and optionally be alerted by a push notification). They can then RSVP this request to either accept or decline the invitation.